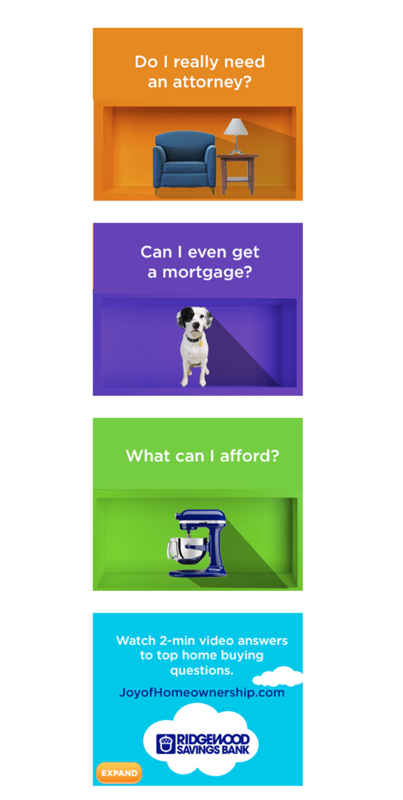 How did we help a local bank appeal to first time home buyers? The process of buying and financing a home can be intimidating. 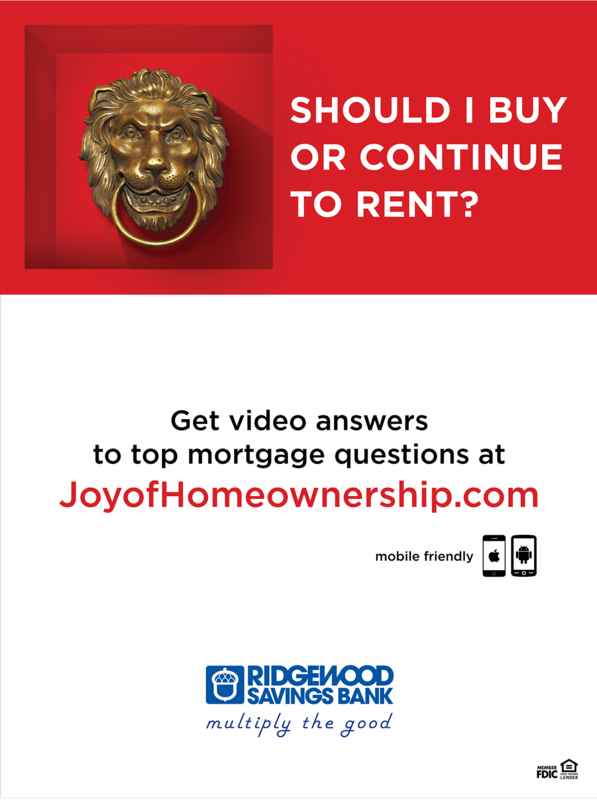 To overcome this, we collaborated with Ridgewood’s mortgage team to create “The Joy of Home Ownership.” The campaign, which centers around an informative, interactive website to capture leads, is designed to remind potential first time homeowners of the fun, pride, and joy that goes along with owning your own home. 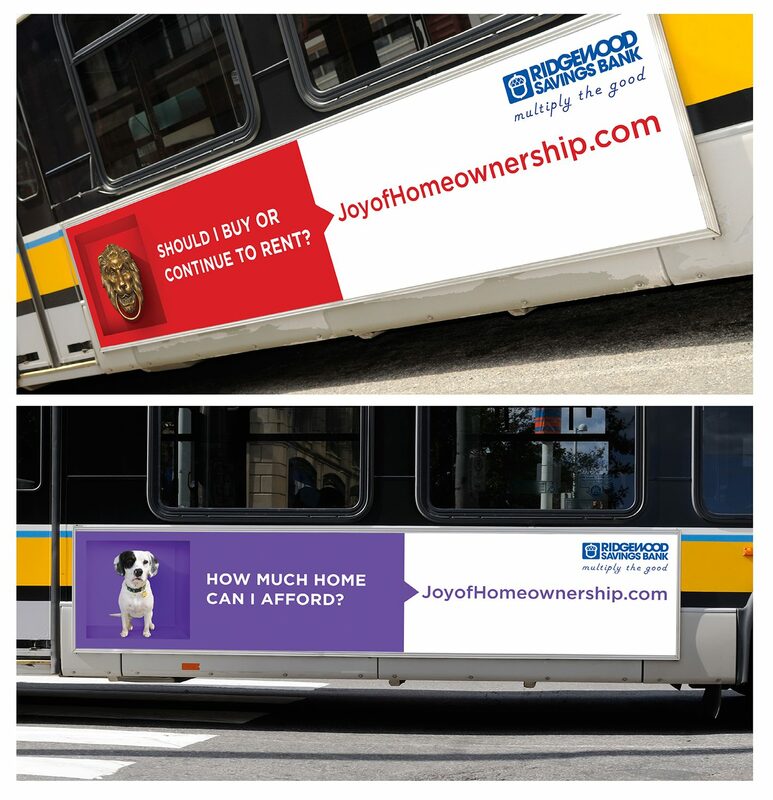 Campaign Elements: TV commercials, pre-roll, social media videos, online ads, multimedia responsive mobile-friendly website, “Top-10 Mortgage Questions” digital videos, e-mail/eCRM, print, in-branch posters, OOH. The 6-month campaign resulted in 1.1 million video views, which were shared a total of 1,701 times across social media (for an additional 500,000 impressions). Click rates for our digital ads were 30% above the industry average and once prospects arrived at the site, they stayed 333% longer than the industry average. 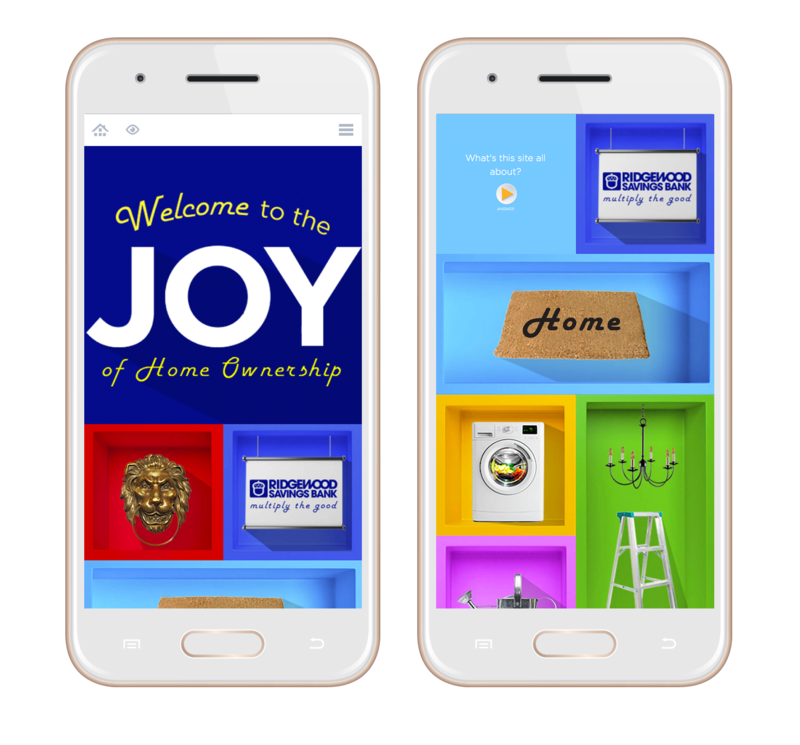 During the campaign, joyofhomeownership.com was visited by more than 15,000 highly targeted, unique visitors.